~ Natasha Fatah ~: "Don't You Look Corporate Today?" "Don't You Look Corporate Today?" Dear friends, sometimes I just don't know how to respond to the things people say. We've all been there: someone makes a comment about your appearance that isn't really a compliment, and it's not really a criticism. Or if it is a criticism, the person saying it is being pretty passive aggressive. And it's difficult to respond when you're not really sure either way. For example, I wore this outfit two days ago at work, and someone in the office said: "My, don't you look corporate today?" And yes, she did say "My" at the beginning of the sentence. I just offered up an awkward laugh and said "Uh, I try." I'm not trying to be difficult, I genuinely don't know what to say. Maybe it's a compliment, but maybe it's not. Other examples I get from time to time: "I read your article in the paper." - Um, thanks? Or did you totally disagree with my point of view and you're just too polite to say it? Or how about: "I saw your blog." - this one definitely makes me uncomfortable. What am I supposed to say? Potentially the subtext is "I saw your blog = I judge you for being shallow." Help! This post is my submission to the Trend of the Month Challenge. So tell me, how do you gracefully manage through those awkward social exchanges? I would love for you to stop by my blog and check out my latest outfit post inspired by my favorite Pretty Little Liars character. My point of view is that if you're getting a comment it means that he/she noticed you:) so you know that what you're wearing or writing is effecting people. By the way love your outfit- the dress is so beautiful. Even I hate it when people tell me- I saw your blog. I wonder if that is a question or statement. Always confuses me! Corporate or not, you look gorgeous! The hair style is suiting the attire and that neckpiece is wow! You've got an amazing style, loving everything about this look! People say that sort of stuff because they don't have the manners or finesse to actually pay a compliment. Next time somebody says, "I saw your blog," you respond: "Oh, good. I hope it inspires you to do something about this." As you say the word "this," gesture towards their clothing with your hand. It will do the trick. Meera, you literally made me laugh out loud! You're hilarious! Btw, I love your blog and your style! The new haircut is beautiful. Makes me wanna go short again! Corporate or not, I think you look lovely. I think another commenter said something similar, but it's true! Maybe these comments are neither negative nor positive but just neutral. People notice something but they don't judge it. (Or maybe they want to start a conversation this way?) I sometimes leave such "neutral" comments on blogs, but I have the impression people don't know what to make of them. Love your necklace! It looks great with the dress! And your haircut! That statement necklace is SO unique! I love it! When someone says something to me that has the potential to make one or both of us uncomfortable or gives you know where to go, I use the following strategy: Point at a spot on the horizon behind them. Have a horrified look on your face as if some terrible scene is unfolding before your eyes. When they turn to look, make a quick getaway. Excellent advice! Can I use this in uncomfortable work situations and when boss types are asking me to do things I don't want to do? Please say yes. wow very nice look. love the dress compared with that glamoures necklace! I think you look so office chic! you look great! I love this outfit and I can relate to how you feel about the things some people say. I just let stuff like that go in one ear and out the next, I don't like when others try to bring people down. You keep doing your thing and don't worry about the haters in the world! 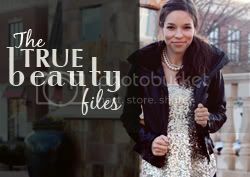 just stumbled upon your blog, love your style! I love this outfit! You're so cute! As for awkward social exchanges, I usually just stare the person down until they elaborate. Or, if it's a friend, I ask them what the hell they meant by their comment. And, when I'm feeling more non-confrontational, I just smile and keep on moving. I think that when someone makes a "neutral comment' (no such thing!) it's up to us as to how we'll interpret and respond, thus creating the energy we want, regardless of any subtext on their part. In general, I think those types of comments come from insecure people trying to jockey for position. Sometimes they need to be checked, and sometimes they need to be affirmed despite their insecurities. It's a challenge to respond un-egotistically and with love, but with boundaries. As a beautiful, intelligent woman of color, you are presented with many of these moments, I'm sure. As unsettling and exhausting as they are, I have no doubt you handle them deftly and gracefully. Just don't let them get to you!! As another woman of color, I'm here to cheer you on and revel in your stylish journey. That vintage dress is absolutely STUNNING on you!!! I absolutely love it with that necklace! And I agree that it's totally awkward when someone says to me "I saw your blog"...I don't know where to go from there! haha! Win a $50 Giftcard from Mont Affair! Hi, honey! I really liked your blog, you have great photos! Now, I am your faithful follower! I really hope that you enjoy my blog and you will be my follower!)))) Miss you, kiss! Great post. I follow your Blog now. How did I miss this? When did you cut your hair, girl? You look so chic! Thank you for talking about this, Natasha! I see the "My, aren't you / don't you ..." comments as a totally different thing than the non-sequitur / lead-balloon "I saw your blog" conversational dud statements. On the other hand, as a sometimes desperately awkward person myself, I see the "I read your article / You cut your hair" type of "announcements" as well-meaning but ineffective attempts to connect. Depending on who the person is and how much patience is available to you in the moment, options might range from "Yes, I did cut my hair" through "uh-huh?" / "okay?" to "And what did you think of the article / Did anything stand out for you about my blog?" P.S. Lovely outfit - that royal purple is wonderful on you! i adore that necklace, it rocks. Love so much you're blog, is amazing! Follow u, my name in GFC is: sexy_paige_cucu. What a beautiful dress, great color on you! Would love for you to checkout our latest posts when you have a minute. so corporate chic! love the pop of color! Britt's favorite color is purple! Would you like to follow each other on BLOGLOVIN??? wow, love your bold new haircut! you look fabulous! Ignore those comments. You look great, and your blog is (seriously, I mean this) contributing beauty to the world. Let comments like that just roll off you. Also, I haven't checked in in awhile - your shorter hair looks beautiful! Your outfit is great Natasha, very chic! I find when people say weird things like that, it's because of their own insecurities that have nothing to do with you. I love this look, the print on that dress is so fun! I would love for you to come link up to Sunday Style! Thanks so much for writing. I read each and every comment, and really appreciate your feedback. If you enjoy the blog, please "Join This Site" on the right hand side. Journalist; Shop and Shoe-Aholic; Fashion Fanatic; This blog is (mostly) dedicated to my adventures and mis-adventures in fashion, style and all things beautiful. But from time to time I'll share my columns, articles, events and my more "serious" side. Enjoy!